An interview with Kathleen Albers, Doña Ana Arts Council Executive Director; and Lorenzo Alba, Casa de Peregrinos Executive Director. 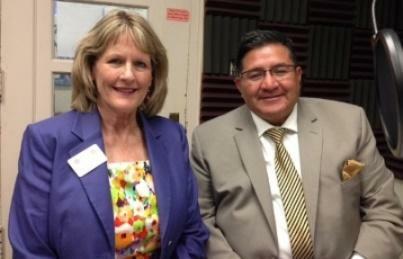 Kathleen Albers and Lorenzo Alba at KRWG FM studios. "Feed the Body & Soul" Benefit Concert - June 20th at the Rio Grande Theatre at 7 p.m. for Casa de Peregrinos and the Doña Ana Arts Council Education Programs. June 12, 2015 – Las Cruces, NM - On this edition of PUENTES, bridges to the community, Emily Guerra meets with Doña Ana Arts Council Executive Director, Kathleen Albers, and Casa de Peregrinos Executive Director, Lorenzo Alba, to talk about a unique collaboration between the two different organizations; the arts education programs and an emergency food program. 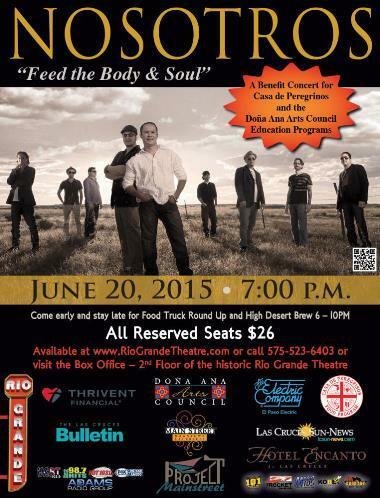 The two non-profits have come together to combine their resources for a special Benefit Concert and Food Drive, “Feed the Body and Soul,” at the Rio Grande Theatre, Saturday, June 20th at 7 p.m. with NOSOTROS, an award-winning Southwest Latin music band. 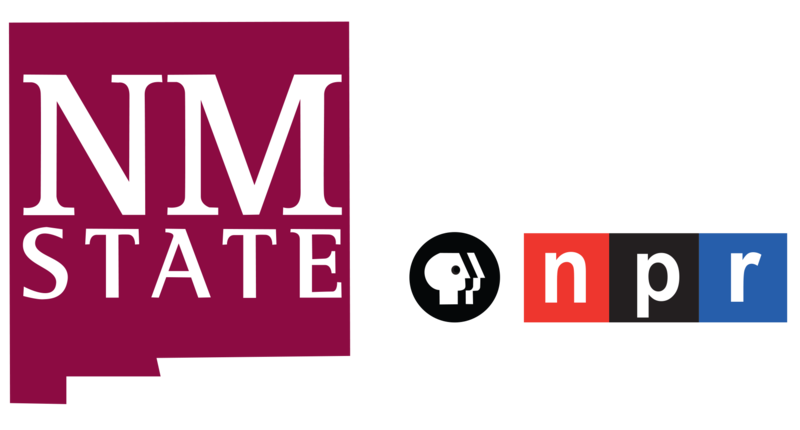 A Food Drive at the Las Cruces Downtown Farmer’s Market outside the Rio Grande Theatre on Saturday, June 13th from 9 a.m. until noon will kick off the concert. For tickets/reserved seats and more information visit www.riograndetheatre.com or call 575-523-6403; and www.casadeperegrinos.org.